Complete solution (client apps, users management, comm server modules) under full control of your enterprise. Highest security. Easy to use. Silentel protects your voice and data communication against wiretapping and interception. Download now the latest version for iPhone/iPad, Android and Windows PC. 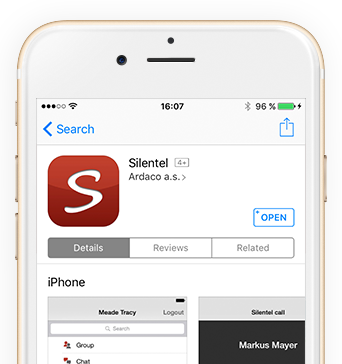 Silentel and SilentelSafe technology is the serious choice for any user who wants to protect and secure his voice calls, messages, chats or any files against unauthorized usage.